I'm blue. Winter is dragging on and on. 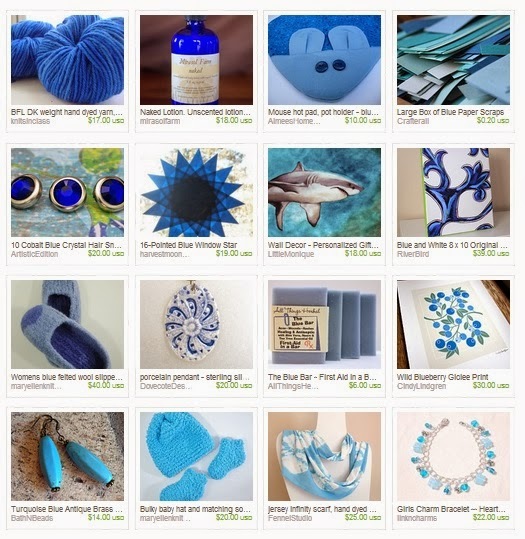 Even though I'm feeling blue and ready to flee to a warmer climate, I adore the color blue. If you visit my Etsy shop, you'll see that it's true. Here are some fantastic handmade products, created by artists located right here in Minnesota. Fun Friday Finds: Happy Valentine's Day! Here we are arrived at this playful little holiday to distract us from our winter doldrums and pretend that spring is just around the corner. 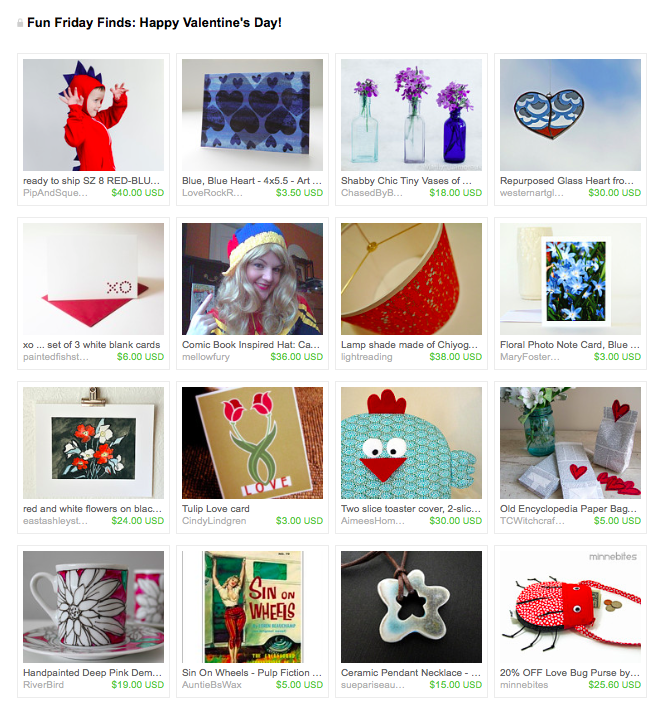 And so we turn to our busy bees on Etsy to find plenty of hearts and flowers and Valentines and good fun for all! Click here to check out these fun items on Etsy. So, my friends are complaining about the weather. "I don't want to go outside. ", "I want to snuggle under a warm blanket and drink hot cocoa. ", "This weather is making me so whiny and cranky. ", "Will this winter never end?" I usually start thinking some of those thoughts around this time of year as well, but I refuse! I won't do it! Instead, I am running in the warm sun, dancing to Latin music and daydreaming of summer. To be honest, I am running on the treadmill by the big windows that overlook the arctic white view and am taking a Latin Hip Hop class at the Y, but I really am dreaming of Summer. I am trying to keep those negative thoughts at bay as long as possible. 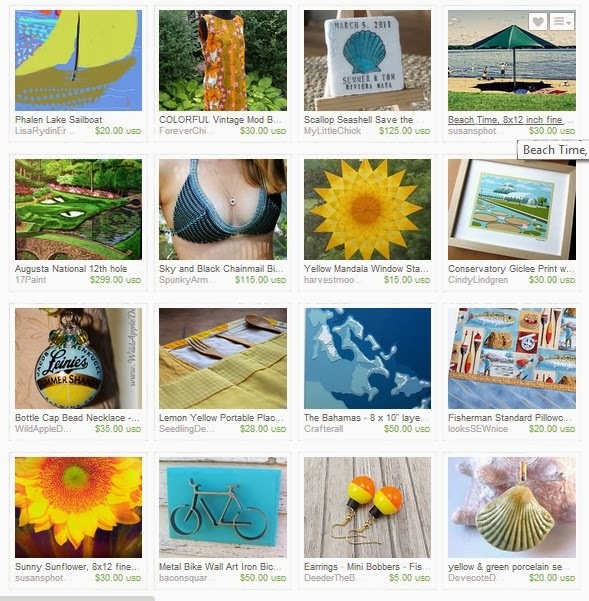 I hope that you will check out these Etsy shops with items that include beautiful artwork to keep you dreaming of Summer too.